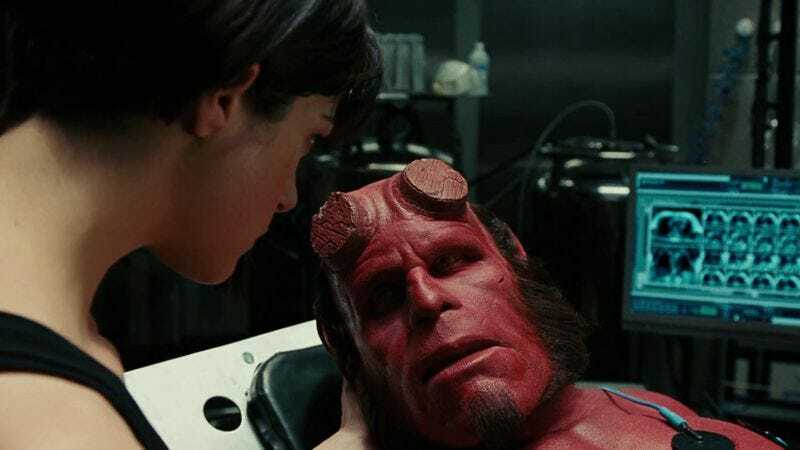 In these uncertain times—wherein a major political party is scrambling to do damage control for its presidential nominee—it’s nice to know there are some things you can count on, like the change in seasons, and Ron Perlman wanting to make another Hellboy movie. With two movies in the can from director Guillermo Del Toro, Perlman has made it clear that he’d like to complete the hat trick, please and thank you very much. Not even the Hand Of God was able to deter Perlman’s determination, though he was forced to temper his Twitter enthusiasm for the sequel. If only someone else in Hollywood shared Perlman’s eagerness (for what it’s worth, we’re not executives, but we wouldn’t mind a third entry in the series). Sure, things look bleak when even Ron Perlman has resigned himself to taking the sequel off the back burner, putting it in some Tupperware, and popping it in the freezer. But maybe he’ll take heart in Garrett Dillahunt’s wishing a Deadwood movie into production, and start tweeting about Hellboy 3 again some time next year. Perlman continues to collaborate with Del Toro, whose Trollhunters premieres on Netflix in December.